Update [Jan 24, 2019]: I’ve recently posted a review on a similar product, called the Pocket Egg. You can read it here. The Pokémon GO Go-tcha Ranger, just like the original Go-tcha wristband, is a Pokemon Go Plus alternative, which comes with extra features to take your game further. 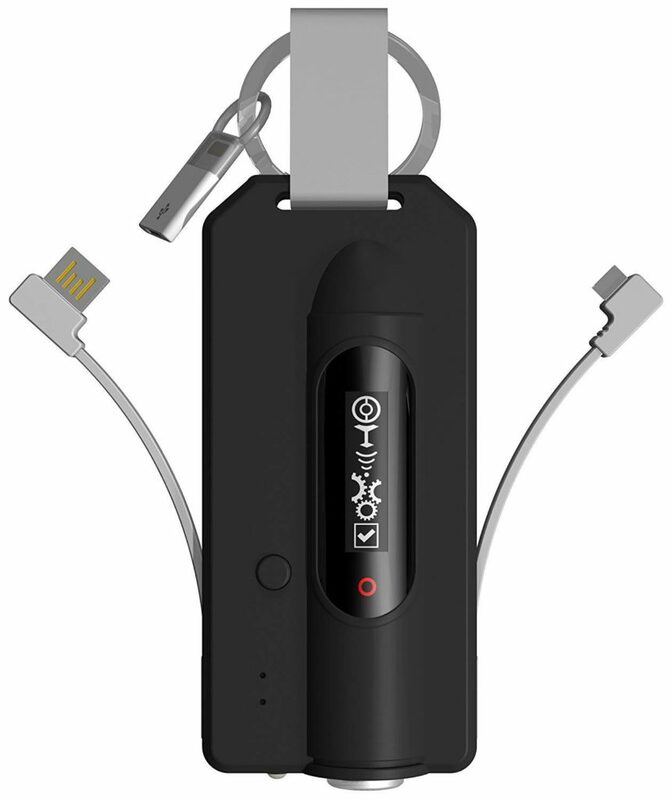 It has a built-in battery pack, so you can charge your phone on the go. Every since Pokemon GO came out, I’ve been playing it religiously. I’ve also been a loyal user of the Pokemon Go Plus. As mentioned in a previous post, I have been very satisfied with the results, but as I did some research, I learned that there were many other third party alternatives, some that claim to do much more than the actual official product. What is the Pokémon GO Go-tcha Ranger? The Pokémon Go Go-tcha Ranger is a peripheral device just like the Pokémon Go Plus, in the sense that it connects through Bluetooth to your phone, and allows you to play Pokemon Go without having to pull out your phone and stare at your screen. In other words, it is an automated Pokémon Go Plus. The device was developed by Codejunkies, the exact same company who made the original Go-tcha wristband. This is good to know, so if you like their brand, you may find a similar experience with the Go-tcha Ranger. Overall, you have a device which does the work of playing the game for you. Pretty much like the Pokemon Go Go-tcha, it works very much the same way; you tap on the built-in touchscreen, cycling through the various settings. You can toggle the auto-catch feature on and off if you wish, and you can even configure the device to only catch Pokemon you don’t already have. The screen will flash with a specific image to indicate what will be done when you tap the screen. There is a screen for PokeStops, Pokemon, etc. All in all, the device works more or less just like the official one, except that you don’t have to wear it on your wrist, and can also be recharged. When compared to the Pokemon Go Plus, the ability to recharge the device without going through any coin batteries is a great feature in itself. The Ranger comes with a USB cable that connects it to a power source, allowing you to charge the built in battery. 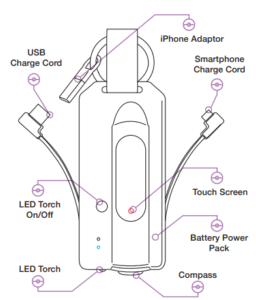 The Go-tcha Ranger has a 1200 mAh capacity, so it can at least charge your phone to full. It’s not as much juice as your standard travel battery packs, but I find it works in a pinch. On the other hand, if you do not use it to charge your phone, it will last a lot longer. From what I’ve read, some have had it last for over a week without going dead. One thing to note; you may want to pick up a microUSB adapter if your phone does not already use this type of connection. I have a phone with a USB-C connector, so it won’t work without an adapter. Is this a cheat device? As I mentioned in my Go-tcha review, it’s a grey area, at best. It’s no GPS spoofing by any means, though. The device talks to your phone the exact same way the Pokemon Go Plus does, and even shows up on your phone as a Bluetooth device when you try to pair. As far as the game is concerned… well, it sees a “Pokemon Go Plus”. Because this product is not officially licensed by Niantic or Nintendo, you’re not going to find any kind of support from them, and there is the chance that this device may run the risk of being locked out, if the developers build some kind of failsafe for detecting third party hardware. 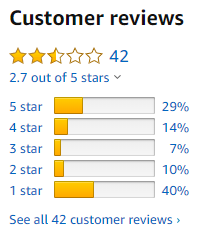 As you probably noticed from above, it only had 42 reviews. That’s not as many as the Go-tcha, and so I’m not confident in suggesting the Ranger, especially if you own the previous model. If you already have the Pokemon Go Go-tcha, then you most certainly do not need this one; the Got-tcha Ranger costs more, and does not have enough features to make it worth buying again. With a few purchases on Amazon, it’s hard to say if folks still like it just as much as the official product. I hope you have enjoyed this review. If you have any questions, feel free to leave them below!